This subtle intellectual biography juxtaposes Ralph Waldo Emerson's revolutionary spiritual thinking with his elitist ideas of race and property--a contrast so sharp as to make his personality seem almost incoherent." 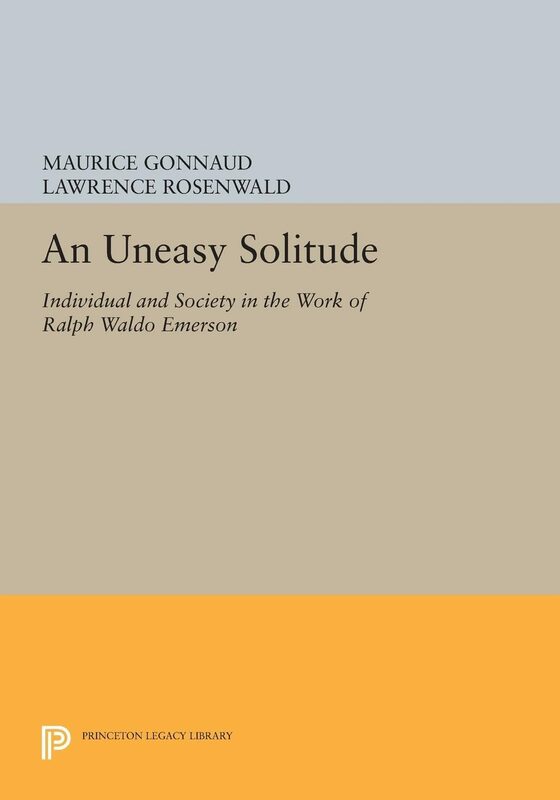 Writing in (he great modern tradition of French anglicisles, Maurice Gonnaud compares Emerson's taste for solitude and the lyric ardor it awakened in him to his efforts to confront the social pressures of his times.Originally published in 1987.The Princeton Legacy Library uses the latest print-on-demand technology to again make available previously out-of-print books from the distinguished backlist of Princeton University Press. These paperback editions preserve the original texts of these important books while presenting them in durable paperback editions. The goal of the Princeton Legacy Library is to vastly increase access to the rich scholarly heritage found in the thousands of books published by Princeton University Press since its founding in 1905.